FRAUD has in just one year taken over E30 million from the country’s economy. 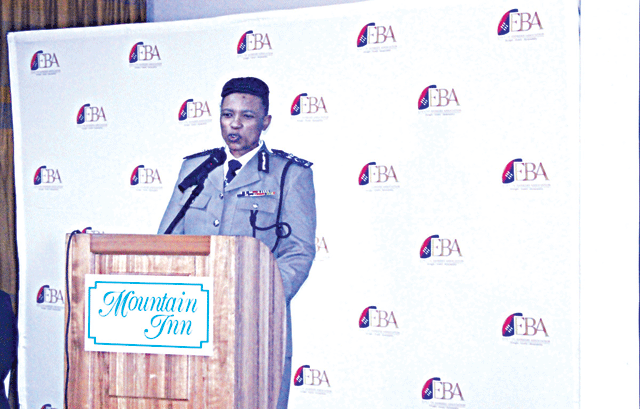 This was revealed by Eswatini Royal Police Service (REPS) Deputy Commissioner Mumcy Dlamini who was speaking during the international fraud awareness week celebrated at the Mountain Inn yesterday. “From November 2017 to date over E30 million has been lost through frauds cases occurring within the Kingdom of Eswatini economic landscape. “This is a substantial monetary loss comparative to the economic size of the country. “For the recorded statistics, the banking sector business and individuals have all been defrauded in one way or the other which encapsulates among others,” she said. Dlamini said fraudulent activities involve electronic fund transfers and false banking instructions where business entities and individuals receive e-mails from alleged suppliers to make payments on dubious accounts. Other fraudulent activities, according to Dlamini, involve ATM cash withdrawals through cloned or skimmed bank cards. Dlamini also said other cases manifest themselves in the misrepresentation of one’s particulars for the purpose of securing loans from banking and allied financial institutions. On another note, Dlamini said stokvel groups should deposit their member’s contributions in banks rather than accumulating cash in their homes. “During distribution time, a safe area should be chosen such as the nearest police station as a deterrence measure against would be robbers,” she said. Dlamini further cautioned people against falling victim to the landela gang which normally operates around the festive season. According to Dlamini, the rule of thumb to avoid falling victim to members of the landela gang is not to withdraw and carry around large sums of money. “The public is encouraged to use electronic money transfer facilities that are available from financial institutions in order to stay safe,” she said.